Xiaomi Mi Band 4 has been recently spotted passing through Bluetooth certification and the listing has revealed some interesting new tidbits. 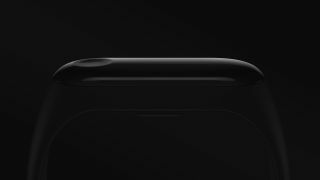 The successor to the best-selling fitness tracker, Mi Band 3 will launch sometime in 2019 as the same was confirmed by company’s Cheif Financial Officer, David Cui. The listing of the Mi Band 4 reveals two models - XMSH07HM and XMSH08HM. Interestingly, the latter variant supports NFC in addition to Bluetooth 5.0. The current Mi Band 3 supports Bluetooth 4.2 low-energy and 5.0 protocol will bring in improved data transmission rates, efficient power consumption among other features. Cui also revealed that like every Mi Band, the fourth iteration will also come with some new features. While he did not disclose anything about the new features, rumors indicate the addition of ECG sensor and a colour display but it remains to be seen if those turn out to be true. As of now, we don’t have any information regarding the design and internals of the Mi Band 4. We’ll know more as we near the launch date of the smart band. Meanwhile, the Mi Band 3 is still a very good option if one is looking to get started with a smart wearable. Priced at Rs 1,999 the Mi Band 3 offers an OLED touchscreen with upto 20 days of battery life and can monitor heart rate along with sleep tracking. It is also water resistant by upto 50 meters.